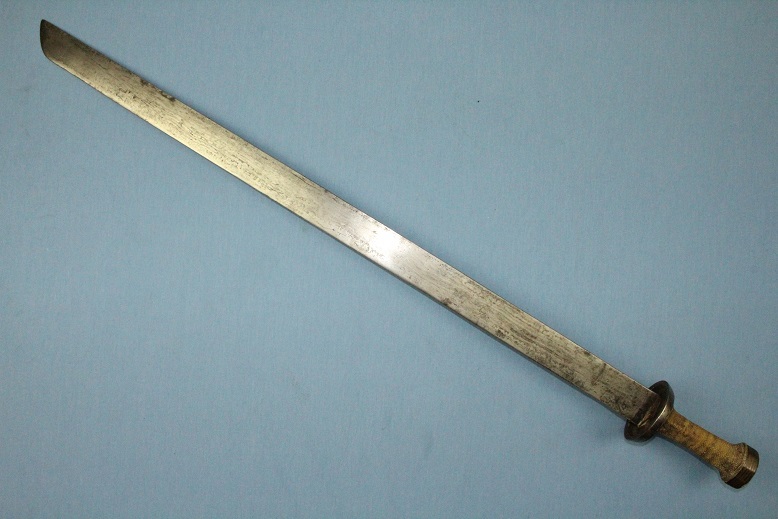 A very rare sword from the Kham regions of Eastern Tibet. 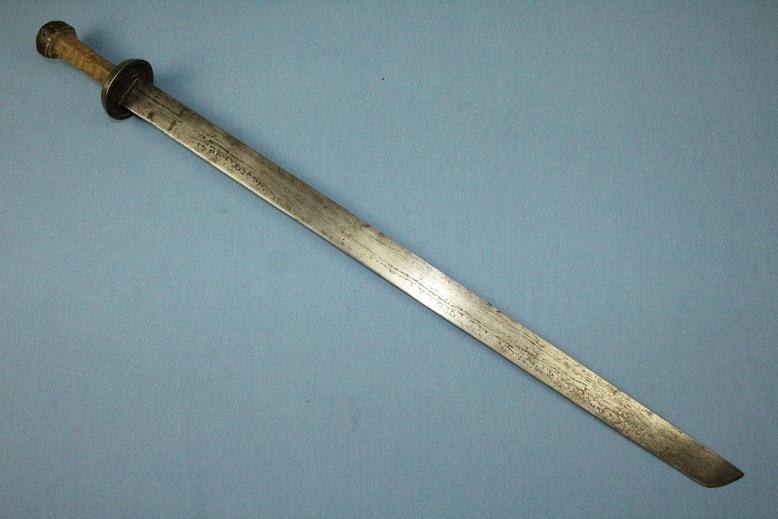 This rare Dpa' dam measures just under 94cms long and carries a blade which is 79.5cms long. 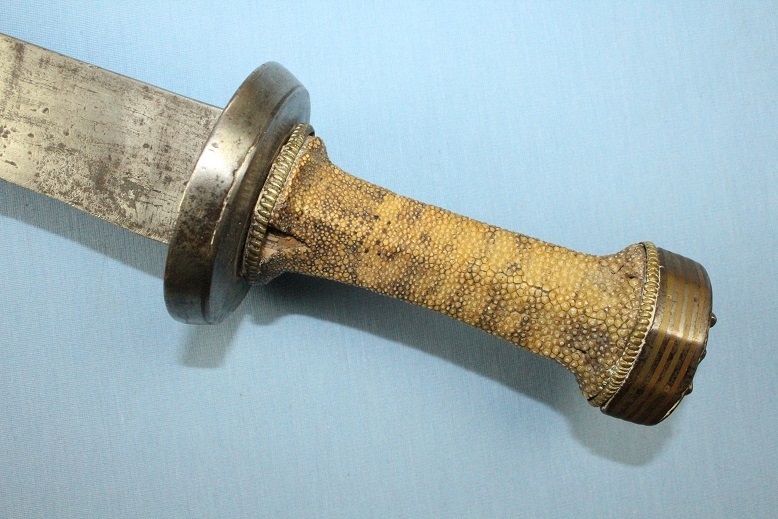 The hilt type is a rather unusual one where typical Tibetan swords are concerned but typically of the type in this regions. 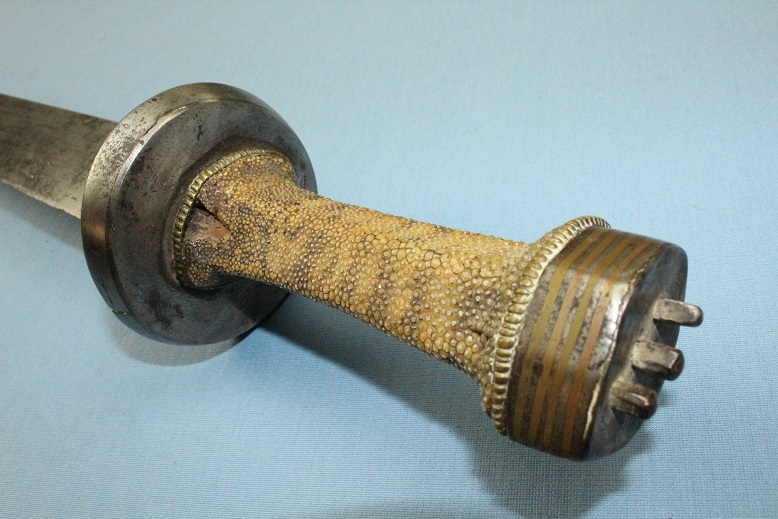 The pommel is of an elongated octagonal shape with three spikes protruding from its end. One half of the pommel is inlayed with four bronze and copper lines, whilst the reverse side is without decoration and pierced for a wrist lanyard. 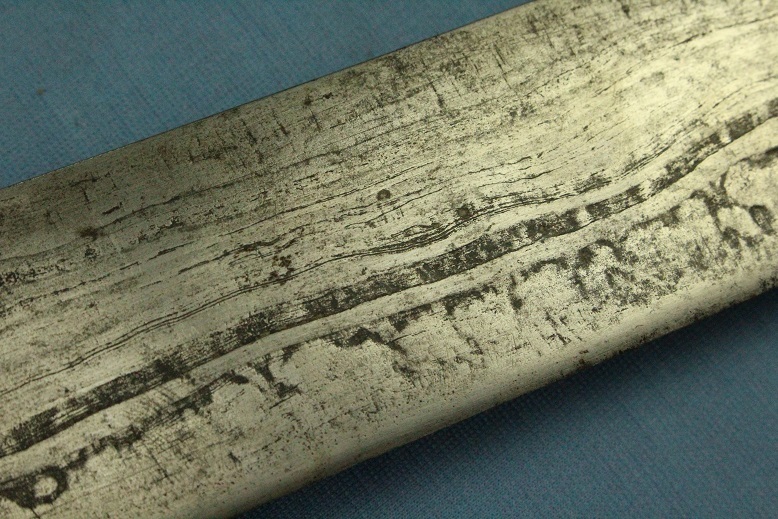 The base of the pommel sits atop of a white metal ring, a ring type most commonly seen on Tibetan and Bhutanese knives. 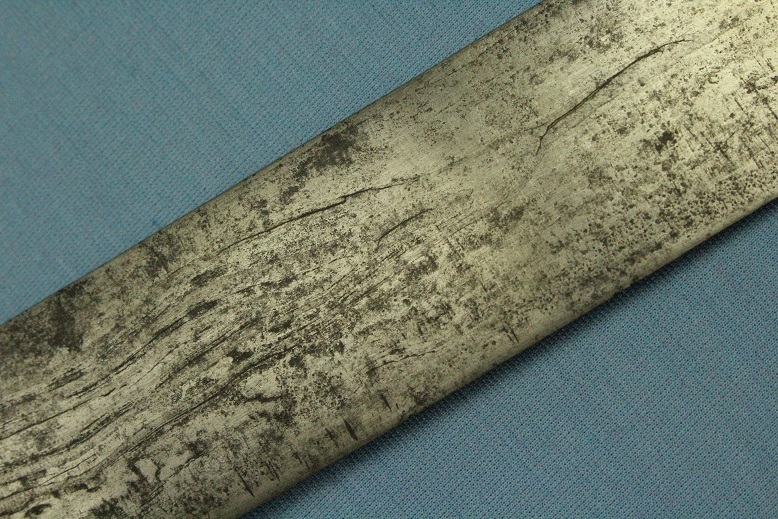 The grip itself is a timber core of diamond cross section which widens to both the pommel and guard. A covering of fine ray skin envelopes the grip. 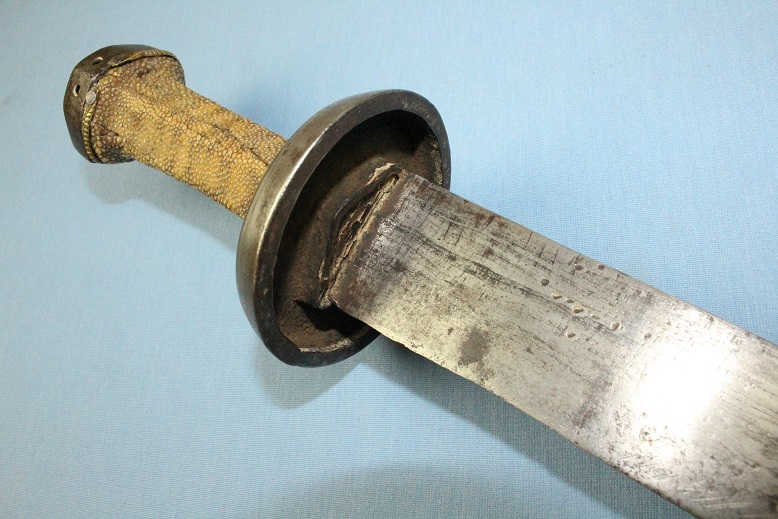 The large and thick cup guard is supported by another white metal ring on the grip side and a large raised lozenge to the centre of the guard is slotted over the timber core of the grip, a point which offers further strong support for the entry of the blade in to the hilt. The broad blade is 4cms wide at the base and varies little throughout its length. Its surfaces display the classic hairpin construction from these mountainous regions and the typical hatchet tip. The sword is without a scabbard, but based on previous examples we have sold, the scabbard construction is a very simple one, comprising of two timber halves which are bound in multiple coloured stitched cloth. A fine sword of good proportions. A type rarely seen in the marketplace.